Ryan Braun Changed — Or Did He? If you split the career into halves, you’d be tempted to say that Ryan Braun has changed, fundamentally. At least when it comes to his balls in play, his ratios have changed somewhat dramatically the last three years. But it’s important to remember that the league has changed over time, too, and that’s something the slugger is quick to point out. In the context of the league changes, Braun’s changes don’t look nearly as drastic. In fact, you might wonder if he’s changed at all. When it comes to grounders and pop-ups, there’s a clear moment when Braun started hitting more of the former and less of the latter. It’s almost a season-to-season turnaround, right there in the middle of his career. Thanks to ESPN Stats, we can identify 2012 as a bellwether year. If you split the career into halves using 2012 as the divider, the change seems huge. He hit .83 ground balls per fly ball from 2009 to 2011, and 1.9% of his hits were pop-ups, or automatic outs. Since the beginning of the 2013 season, he’s hit .98 ground balls per fly ball, and hit only .5% pop-ups. More grounders hasn’t necessarily been worse for his power, as he had a .230 ISO in the first three years in our sample, and a .202 ISO in the last three years. And that includes a year that was half-lost to a thumb surgery. Fewer pop-ups haven’t been a boon for his batting average on balls in play, either. His .344 early BABIP (with the pop-ups) was great, and his .327 late BABIP (with fewer pop-ups) is also pretty good (.298 is league average most years). He was also younger in the first sample, and pre-peak. The last three years have all come after Braun 27 years old, the long-held peak age for baseball players. But no matter the results, Braun seems to have changed his batted ball mix. Ask Braun if he’s changed his swing at all, and he’s adamant that adjustments have been small. Instead, you get to the heart of the matter when you ask Braun about the pop-ups and ground balls in particular. “Obviously, you want to minimize and ideally completely eliminate pop-ups — I think the pop-ups are the least likely opportunity to get on base,” he told me with a dry smile before a game with the Giants. 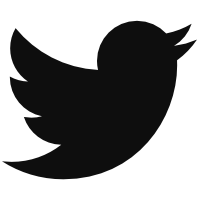 And though he said it wryly, there’s more than a kernel of truth in the comment. It turns out, players that remain in the league gradually hit fewer pop-ups. The rate at which they improve their pop-up percentage changes, so there’s a peak, but you gradually improve your pop-up rate every year until you turn 37. 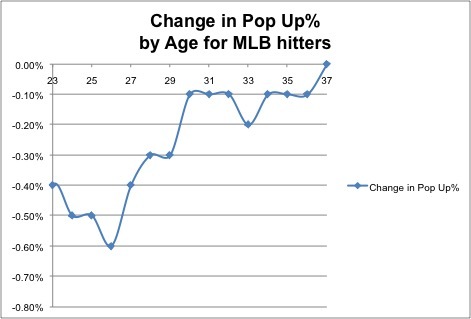 Thanks to FanGraphs researcher Jeff Zimmerman, we can see what an aging curve for pop-ups looks like. Using the delta method to pair player years and then adjust them to a harmonic mean, he has aged stats from power to speed in the past. In this case, you can see that a batter can expect to improve his pop-up rate by as much as .6% in his peak years. Over the course of our data set, Braun has aged from 25 to 31 years old. You’d expect him to have improved his pop-up rate by 1.8%. He has actually improved it 1.9% off its peak. In terms of pop-ups, Braun is just doing what everyone does: trying to cut down on the automatic outs. Braun has upped his ground-ball rate, from 45% early in his career to 50% lately, but again, he doesn’t think it’s anything he’s doing on purpose. In this case, actually, he thinks it’s something league is doing differently. On the first point, velocity has indeed been on the rise. 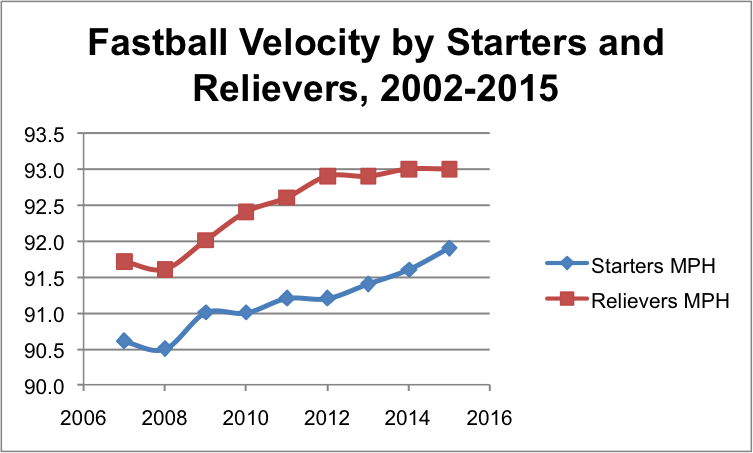 Look at the league average velocities for starters and relievers over the last decade-plus, and it’s remarkable that so much change has happened in a relatively short time. More velocity alone means more ground-balls — on any pitch type — but there’s a little more going on here, even. “The strike zone has gotten larger at the bottom, which would encourage guys to throw the ball at the bottom of the zone,” Braun said, describing a growing situation in baseball succinctly. Jon Rogaele has covered the expanding strike zone rigorously, and he’s shown that the growth is mostly at the bottom of the zone. A whopping 17 square inches was added to the bottom of the strike zone between 2013 and 2014. That has, indeed, encouraged pitchers to throw more often to the bottom of the zone. 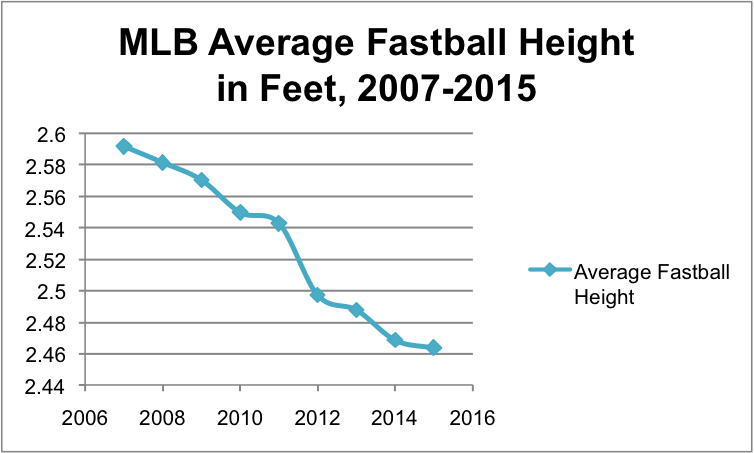 Look at the average fastball height over the last few years — it’s dropped almost two inches since 2007. Over the course of 40,000 pitches a year, that’s a huge sample, which makes the small changes more believable. So it’s no surprise that league ground-ball rates are up almost two full percentage points since 2007. More velocity and a bigger strike zone at the bottom have encouraged pitchers to pound the bottom of the zone with nasty stuff. Of course hitters are burning worms more. It does look like Ryan Braun stopped hitting pop-ups and started hitting ground balls sometime in 2012. But if you ask the hitter, it’s just a reaction to the league. And once you put his performance into the context of his peers, and changes within the game, it looks like Milwaukee’s star slugger hasn’t changed very much at all. We hoped you liked reading Ryan Braun Changed — Or Did He? by Eno Sarris! Which Closers Are About to Lose Their Jobs? Good point. Although, one of the main factors that the league has changed is the same reason Braun has changed.